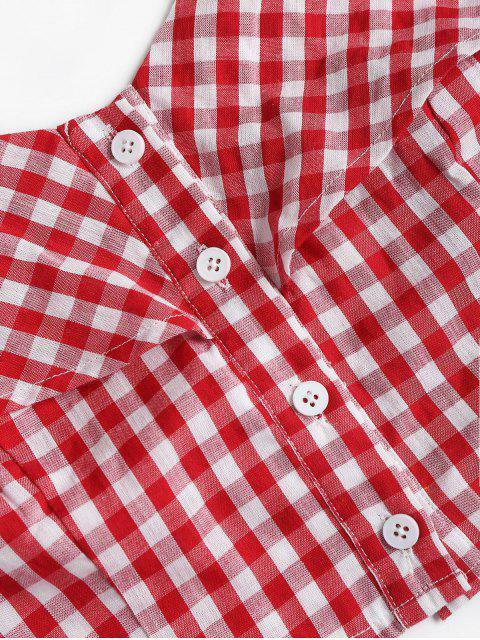 [34% OFF] 2019 Gingham Buttoned Cold Shoulder Crop Top In RED | ZAFUL ..
With a sweetheart collarline and contemporary princess seams help to define your shape, this graceful top is fastened by buttons down the front. Cute ruffle overlay along the collarline extends to the arm. The chunky shoulder straps are unadjustable.